Have you ever thought about starting your own boutique-style portrait photography business? Like the idea, but not sure exactly what “being boutique” means? If you’ve ever wondered what it takes to be seen as a quality-driven boutique-style business then you’re going to love this episode with Laura Novak Meyer. She turned the apparent setback of the last recession into a positive move that created a truly successful business – not just for her, but for at least 22 other women who now help to run the two main locations of Little Nest Portraits in Philadelphia. From there, Laura plans to franchise out Little Nest Portraits to cover other areas of the country. Laura Novak Meyer started her career in photography over ten years ago, with a few modest cameras and a passion for documenting real-life moments in a fresh, natural way. After a successful career as an independent photographer, she started a retail chain in the Philadelphia area called Little Nest Portraits, a boutique photography company that specializes in innovative children’s portraiture. 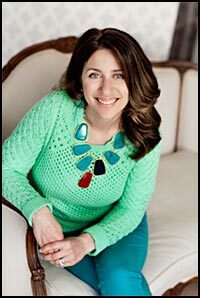 With two high-visibility retail studio locations situated around the Philadelphia metro area, she serves thousands of families each year. Little Nest Portraits was recently voted the “Best Children’s Portrait Studio” by Main Line Today and were featured in Philadelphia Magazine, CBS Talk Philly, and Good Day Philly on FOX. Through training and coaching of eighteen women in the Little Nest home stores, almost all of whom are moms, Laura strives to create an environment that allows women to do what they love while balancing their families at home. There’s a radically different way to run a photography business, one in which the photographer focuses on specialized products and exceptional customer service, instead of the prices of their competition. 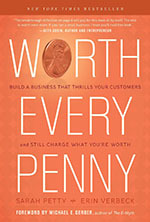 This valuable book encourages photographers to use a business model designed to maximize their advantages over the big-box stores and other discounting competitors.